Bloomington, MN – MatrixCare®, developer of the industry leading EHR for long-term care and senior living providers, today announced that Dr. David Gifford will be delivering a keynote presentation at Directions, MatrixCare’s annual user conference. Dr. Gifford is AHCA/NCAL’s Senior Vice President of Quality and Regulatory Affairs and is a sought after speaker and participates or chairs numerous national, state and local health-related committees. His keynote will focus on strategies for success in a value based purchasing world and include updates on recent and pending legislation impacting long-term care providers. John Damgaard, MatrixCare President and CEO, commented, "We are honored to welcome Dr. David Gifford at Directions and look forward to the insights and words of advice he will share with the growing community of MatrixCare users and valued partners." Directions, MatrixCare’s annual user conference, is being held August 31 – September 2 at the Hyatt Regency Reunion Tower in Dallas, Texas. 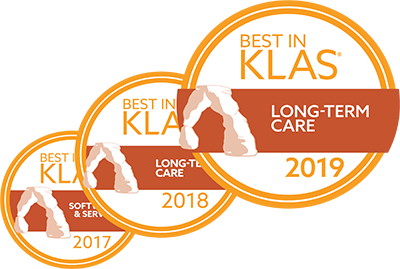 With over 70 breakout sessions, access to product experts in the MatrixCare lab, and dozens of exhibitors, it is the must attend event for leaders in long-term care.